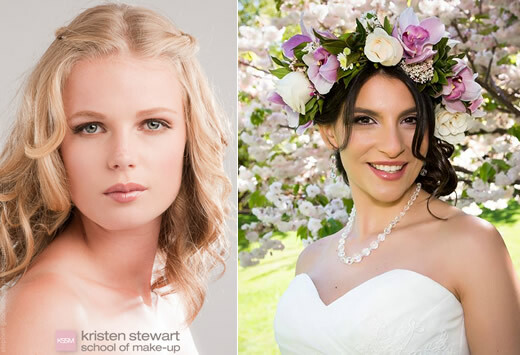 Janine Joseph is a professional freelance Makeup Artist specialising in Bridal Makeup with years of experience, a Diploma in Makeup Artistry and a passion for her profession. Bridal makeup has to be PERFECT. For flawless, long lasting makeup that is photo friendly, Janine uses gorgeous M.A.C cosmetics and techniques that ensure her client will look stunning on her wedding day (all day & night). 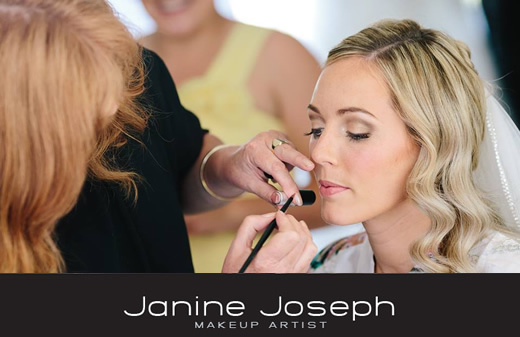 Janine Joseph Makeup Artist loves the buzz she gets when she sees a client looking and feeling beautiful on her wedding day. To know that her artistry combined with a relaxed nature helped make that happen, is hugely rewarding. Janine is completely mobile so she can travel to any location in this beautiful area including Wanaka, Queenstown, Arrowtown, Cromwell, Alexandra, Clyde, Central Otago or anywhere in-between. And if you need her, she can be there for you to assist with dressing and applying the final touches! Feel free to contact Janine for any pre-wedding beauty tips! Just wanted to say a massive thank you for the amazing job you did of the makeup for my mum, bridesmaid and me on my wedding day and also for the rock the frock shoot we did a couple of days later. You were so easy to talk to and laugh with which made things so relaxed on the day and we all loved the makeup looks you did for us, my makeup was flawless and still looked great at the end of the night! It was such a pleasure to have you as part of my special day so thank you! Janine, I just wanted to say a huge thankyou for doing such a beautiful job with mine and the girls makeup on our wedding day. It was natural and luminous which is exactly what I wanted!! You were so professional and lovely to deal with from start to finish. So thankyou again Janine, you and your work, are incredible!! just want to say thank you so much for doing such an amazing job with my makeup. I told you what I wanted and you managed to provide me with that and so much more. I am so glad I chose you for the day and your easy going nature really helped me with the nerves on the day! You helped my bridesmaids, Mum and step daughter, to look absolutely stunning. Thank you, thank you, thank you for helping to make me the bride that I had imagined.